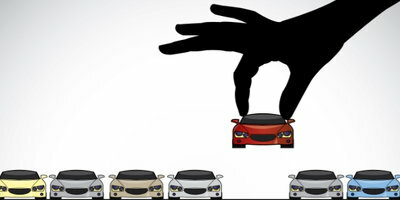 Borrowers with deficient credit usually want answers about car leasing because they either want to keep their auto loan payments as low as possible or they don't have enough money for a down payment. 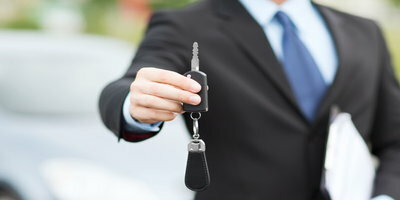 In some cases these consumers may even think that advertisements about lease to own or rent to own autos for credit-challenged buyers are really traditional leases. Here at Auto Credit Express we can understand why they think this because we've spent the past two decades helping car shoppers with bad credit looking for online auto loans find dealers that can help arrange for financing. But the fact is there's a great deal of difference between conventional auto leasing and lease or rent to own auto financing. But to understand these differences we first have to understand both car leasing and retail financing. 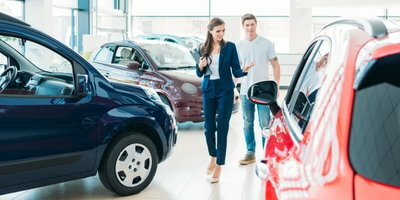 Vehicle lease payments are typically lower than traditional retail finance payments because leasing only considers a portion of a vehicle's value. In the case of a 2 year lease, the lessee is paying the interest expenses and the vehicle depreciation costs (what it will lose in value over that time as determined by the leasing company) for just the first 24 months of a vehicle's lifecycle. Leases also rarely require down payments. They're really only necessary if you want to lower the monthly payment amount and, besides, putting money down doesn't save the borrower any money on interest expenses because this just prepays a portion of the total cost of the lease. More importantly, the value of the vehicle being leased is usually less than the lease buyout during the entire lease period. This means that if the lessee misses or stops making payments, the leasing company faces a greater chance of losing money if the car has to be repossessed. This being the case lenders consider this type of financing to be riskier than a conventional car loan. As a result lenders usually offer leases only to their most qualified customers - borrowers with very good to excellent credit. For credit-challenged consumers this means that there is very little hope they will qualify for a conventional new car lease. Buying (retail finance) involves paying for the entire cost of a vehicle including taxes and fees, minus any down payment. This is done with equal payments over a predetermined loan term. Interest rates can range anywhere from zero percent for special manufacturer-backed loan programs (from captive finance companies such as Ford Credit and GM Financial) for buyers with excellent credit to as high as twenty-nine percent or more (depending on state usury laws) from subprime lenders for people with terrible credit scores. Buyers with good credit often don't even need a down payment, while those subprime lenders willing to take more risk usually require a minimum of ten percent or $1,000 down - whichever is less. Retail financing also covers the widest range of customers - from those with excellent credit to those with near-prime and even subprime credit. Car shoppers shouldn't confuse the term "rent to own" or dealers that offer used car leasing with traditional new car leasing programs. Rent to own dealers as well as car lots that offer used car leasing – sometimes with a "lease to own" option typically require large down payments and these finance options also come with high interest rates. One more thing: the vehicles these dealers rent and lease come with high monthly payments – especially when considering most of the vehicles are older, higher mileage used cars. Fortunately for most credit-challenged borrowers there is a third choice. So if you're someone who knows they have dismal credit or if you've been turned down for a conventional car loan, before considering either a rent to own or lease to own program, we'd like you to consider what we have to offer. At Auto Credit Express we match people that have experienced credit difficulties with new car dealers that can offer them their best opportunities for approved auto loans.